Phobias and panic literally paralyse you with fear. This extreme fear can leave you feeling out of control, exhausted and stressed. Anxiety and panic trigger the body to react in the same way and if experienced regularly, this continued stress can make you physically ill.
Phobias, panic attacks, PTSD and the sophisticated tactics used to avoid their triggers can hugely impact on your enjoyment of life and potential to achieve your goals. The most common types of anxiety disorder are phobias, panic attacks and general panic disorder (GAD). Post Traumatic Stress Disorder (PTSD) and Obsessive Compulsive Disorder (OCD) are other well known anxiety disorders. Most anxiety disorders are primarily psychological; however some anxiety disorders can be triggered by intoxication or withdrawal of a psychoactive substance or by a general medical condition. ‘A persistent, abnormal, or irrational fear of a specific thing or situation that compels one to avoid the feared stimuli’. Phobias are a form of anxiety disorder and are the most common type of anxiety disorder. If you are one of the estimated 10 million people in the UK*who suffer from a phobia, you will probably do almost anything to avoid it and the unpleasant feelings it creates. Phobias fall into one of two broad categories; Specific phobias (e.g. fear of spiders, buses, enclosed spaces, needles, vomit, cats, ageing, death, flying etc. ), or social phobias, where there is the potential for embarrassment, (e.g. public speaking, parties, attending meetings). Common phobias include; Emetephobia (fear of being sick), arachnophobia (fear of spiders), ophidiophobia (fear of snakes), acrophobia (fear of heights), cynophobia (fear of dogs), astraphobia (fear of thunder and lightning), trypanophobia (fear of injections), pteromerhanophobia (fear of flying), mysophobia (fear of germs or dirt), nyctophobia (fear of the dark), claustrophobia (fear of enclosed spaces) and agoraphobia (fear of open or crowded places). The list is almost endless as people can be afraid of almost anything, some of which have been identified on this list of over 500 phobias. Most people generally cannot identify the cause of their phobia as they usually stem from childhood and the information is “locked away” from the conscious mind. Hypnosis allows us to reveal this hidden information and deal with the root of the problem. What are Panic Attacks & Panic Disorder? 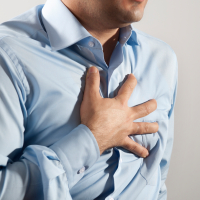 ‘I thought I was having a heart attack!’ is a common description of a how suffers describe a panic attack. Panic disorder is where you experience regular and recurring panic attacks, often for no obvious reason. Everyone experiences anxiousness and panic at certain times; it’s a natural response to danger or stress. In the UK, around 1 in 10 people* experience panic attacks occasionally, which are usually triggered by a particularly stressful period or event. However, for the estimated 1 in 100* with panic disorder anxiety, stress and panic occur regularly and can strike at any time. Panic disorder is approximately twice as common in women as men; for many people it starts during their twenties. A panic attack can be scary, especially when you’ve never experienced it before, but it is not dangerous. Although symptoms can vary, generally panic attacks can cause one or more of the following: a racing heartbeat and heart palpitations, feeling breathless, chest pain, dizziness or light-headiness, numbness or pins and needles, fear of dying or going crazy, sweating and hot flushes or chills, nausea and feelings of detachment from your body. Left untreated, fears can escalate to leave a person housebound from fear of leaving ‘safety’ of their own house. When people’s lives become so restricted, as happens with approximately 1/3 of panic disorder sufferers*, the condition is called agoraphobia. Progression to agoraphobia can be halted with early treatment of panic disorder. What is General Panic Disorder (GAD)? Generalised anxiety disorder (GAD) affects around 1 in 20 adults, often in their twenties, with slightly more women than men*. Most people with GAD feel anxious most days, about many issues rather than a specific event, and can’t remember the last time they felt relaxed. GAD can cause both psychological (mental) and physical symptoms. You can feel constantly “on edge”, irritably, impatient, easily distracted, restless and a constant sense of dread. You may also have difficulty concentrating or sleeping, experience physical symptoms, including dizziness, pins and needles, nausea, digestive problems, sweating and heart palpitations. To avoid feelings of worry and dread, you may stop going out to see family and friends), and take time off work sick. It is a vicious cycle this isolation can make you worry more and damage your self-esteem. Often a delayed reaction following a traumatic situation, with various anxiety related symptoms that last more than one month. A phobia are where a person has a strong panic reaction to a stimulus that is not actually threatening, whereas PTSD is where a person has been exposed to a traumatic experience and it hasn’t been processed to their long-term memory. People with PTSD may also trigger the condition when exposed to situations that represent the original experience. For example a war veteran suffering PTSD hears shooting on a computer game may and reacts as if still on duty. Counselling immediately after an incident is helpful as it helps you process and understand the trauma, however if symptoms persist for months or even years, then hypnotherapy is more appropriate. Hypnotherapy can be used to re-process the initial incident to the long-term memory, and dissociate the anxious feelings connected with the experience, taking on any important learning and then putting it firmly in the past. Obsessive Compulsive Disorder (OCD) is characterised by ritualistic, thoughts or behaviours, seemingly irrational recurrent thoughts. Fear of contamination often leading to repeated hand-washing and compulsive ‘checking behaviour’. Advanced hypnotherapy allows us to access the subconscious to discover the hidden root cause, address the emotional issues present and persuade the subconscious to let go of the problem. With age regression hypnosis it is common to discover the cause of the problem is ‘pact’ the sufferer makes to avoid a particular outcome. For example with OCD caused by bereavement, a person makes a subconscious, and seemingly illogical ‘deal’ e.g. ‘if I wash my hands every time I touch something, then I won’t pass on germs and no-one else will die’. The trauma around the death often ‘locks’ the information deep in the subconscious to protect the person and keep the pact. What causes phobias, panic attacks & anxiety disorders? Imagine owning a car with an over-sensitive alarm that goes off at the slightly, e.g. a slight breeze or a cat walking past. The car is not only annoying for the neighbours; it also takes up your valuable time and energy going to and from the car to switch it off. We have an internal alarm system to alert us to danger so that we can react appropriately when necessary (the ‘fight’ or ‘flight’ response). 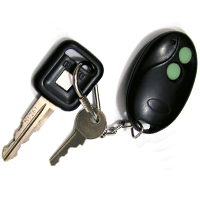 Phobias, panic and anxiety disorders are similar to the over active car alarm – our internal warning system is essential for our protection and survival, but it needs re-wiring to only react in a real emergency. When a person is exposed to a panic/stress/anxiety stimulus, the brain sees the stressor, attention locks to it and rapidly increases adrenalin flow and non-essential functions are switched off so that the body is ready for ‘fight’ or ‘flight’. In ancient times, this reaction was very useful for protecting us against predators. If a hungry tiger approaches, you don’t want an intellectual debate about which way to turn, you need to react FAST. In the case of a physical threat, the extra adrenalin produced would be used running away from or fighting the predator. The problem is when there is no real threat; the body reacts in the same way, but that adrenalin remains in the system. Continued stress and anxiety produces excess adrenalin which can cause illness long-term. Advanced hypnotherapy is designed to help you access your unique mind’s programmes to find the source of the phobia or ‘mind virus’, “re-wire” and update it with better, more appropriate response to the phobia stimuli. The process is thorough and can take 4-6 weeks to achieve a permanent solution. 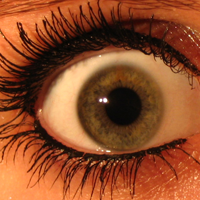 Although there are some ‘fast phobia’ cures available, they generally only work for the simplest formed phobias. Phobias tend to be formed in one of two ways – they are either caught – that is, the subconscious is imitating a behaviour pattern – or there may be a variety of reasons for the attack that are known only to the inner mind. 2. Trauma / incident: it is this type of phobia which requires specialist age regression, where the hypnotherapist, similar to a computer hacker, delves deep into the subconscious mind to uncover the cause of the fear. 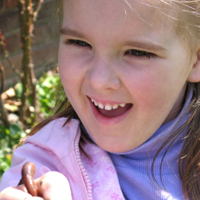 Caroline came to see Katie with a terrible phobia of worms which that prevented her from going into her garden and walking in her local park. She had already tried suggestion hypnosis and the NLP ‘fast phobia cure’ with another therapist with very limited success. Under regression, we discovered that her father had been playing a game chasing her around the garden with a worm had become angry with her for getting muddy. She was terrified when her strict father became very angry with her for making a mess. By seeing the incident again with an adult perspective she saw that it was not the worm that had frightened her, but her father. Once that information was revealed the emotion could be separated from the innocent worm, and dealt with more appropriately. 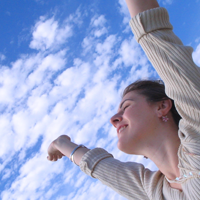 On follow-up, Caroline continued to be free from the worm phobia 6+ years post treatment. Our minds are designed to keep thought, behavioural and emotional patterns because normally they’re there for our benefit and survival. For example, driving is subconscious behaviour. When you first learn to drive there’s much to think about, but with tuition and practice,driving becomes a useful habit you don’t consciously have to think about. However, if your mind allowed you to easily forget a habit, such as driving whilst driving along the motorway at 70 MPH, it could be very dangerous! The subconscious, inner mind does not judge which patterns are desirable and healthy and which are not. Its job is to keep them in place, and it will do so all at costs. This is why willpower can be so difficult – you are fighting against an ingrained, subconscious programme. By accessing the inner, subconscious part of the mind where our unique experiences, memories and behaviour patterns are stored, changes can be made quickly and permanently. Hypnosis is simply a way of accessing the subconscious mind, where the problem is stored. Hypnosis does not make the change — hypnosis is a state of mind with a heightened state of awareness. It is the tools and techniques used in hypnosis that make all the difference. And some techniques are better than others. Success rates in research vary enormously from 30% (suggestion) to in the mid-90s (advanced regression based hypnotherapy). With a phobia or panic disorder, it is impossible to guestimate pre-therapy whether you have a habit or trauma based problem, which is why we use both regression and suggestion based therapy for phobia and panic attack treatment. Often problems will manifest in a number of different ways, but the root cause is the same. E.g. it is not uncommon a person could have fear of flying, but the underlying problem is the fear of being sick or a fear of dying. The root of the core problem needs to be addressed. Similar to having a virus on your computer – the root may affect a number of different programmes e.g. word, powerpoint, internet explorer etc – when the virus is dealt with correctly the programmes are then able to function properly. Once the root cause or ‘mind virus’ of the phobia or panic disorder, your mind programme (software) that in the past would have caused a problem needs to be updated with more appropriate and healthier ways to think, feel and behave. Contact Katie Glen or Jenny O’Kelly on 020 8712 5981 for your complimentary 15-minute consultation or to book an advanced hypnotherapy treatment programme today.